In 1945, Canada and her Allies celebrated victory over Germany in the Second World War. But Hitler's Nazi menace would soon be replaced by a new threat to world peace as the Soviet Union and the United States faced off in the Cold War. Canada was thrust into the Cold War world quickly and unexpectedly. In September 1945, a young Russian named Igor Gouzenko walked into the newsroom of the Ottawa Citizen and announced he had proof of a widespread Soviet spy ring operating in Canada. Gouzenko's allegations were a wake up call for Canada and the rest of the world. The event would cause a chain reaction of anti-Communist sentiments throughout the West. Canada had little chance to choose sides in the Cold War. The country was seated beside the United States, one of the two superpowers defining the post-war world. 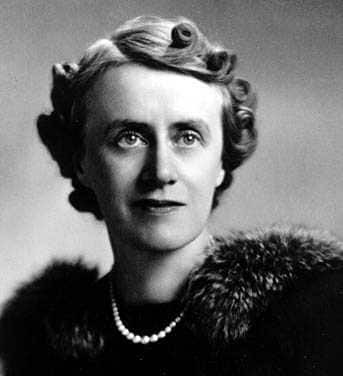 During the Second World War, Canada had already traded some of its sovereignty in a series of political and military pacts with the U.S. In the post-war era, Canada moved closer to the American sphere of influence as international tensions escalated. In 1949 the Soviet Union tested its first atomic bomb and in reply Canada's military spending soared. In 1950, Communist North Korea invaded the U.S. backed South Korea adding further pressure on Canada to build up its armaments. 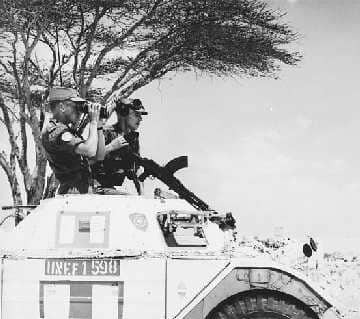 Canada took part in a United Nations force deployed to the area. The country also became caught up the communist paranoia in the post-war era. Canada joined its southern neighbour in an effort to unearth homegrown communists, real or imagined during the early 1950s. The anti-Communist investigations left a trail of destroyed careers and ruined lives. The chill between the two superpowers left little room for Canada to have a voice in international relations. But in the mid-1950s events would unfold in the Middle East that finally gave Canada a chance for a stronger voice in the new world order. In 1956, Egypt seized control of the Suez Canal and soon Britain, France and Israel became embroiled in a conflict with Egypt. The world seemed on the brink of war. 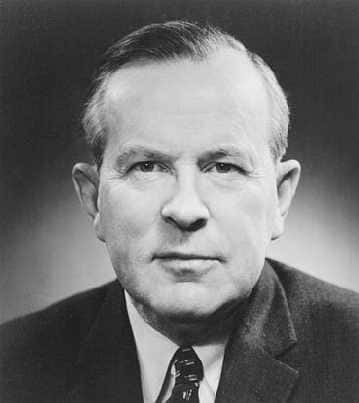 At the United Nations, Canadian Minister of External Affairs Lester B. Pearson proposed deployment of an international peacekeeping force to stabilize the situation while Britain and France withdrew their forces. Pearson emerged from the Suez Crisis as hero, winning the Nobel Peace Prize for his role in resolving the conflict. Although Canada made other attempts to have a voice in international matters, for the most part, it was drawn into the American sphere for much of the Cold War. In the fall of 1958, Prime Minister John Diefenbaker agreed to accept 56 Bomarc missiles from the United States and deploy them in North Bay, Ontario and La Macaza, Quebec. Canada soon discovered the type Bomarc missiles it received was designed to hold nuclear warheads. The missiles touched off anti-nuclear protests in the country, although Canada eventually accepted the nuclear warheads on New Year's Eve 1963.